The Scottish Parliament is not strong enough to withstand a suicide bomb attack, despite having had £90 million spent on bomb-proofing the building, according to a report by the The Centre for the Protection of National Infrastructure. A ring of steel and concrete is to be erected surrounding the Scottish Parliament , two years after MI5 warned that not enough measures were being taken to protect Holyrood. The move comes after the terror attack on Glasgow Airport 2 years ago when a Jeep Cherokee loaded with propane canisters was driven into the glass terminal doors at Glasgow International Airport. A Parliament insider said today that discussions about increasing security have been in the pipeline for years but up until now no changes have been brought about. 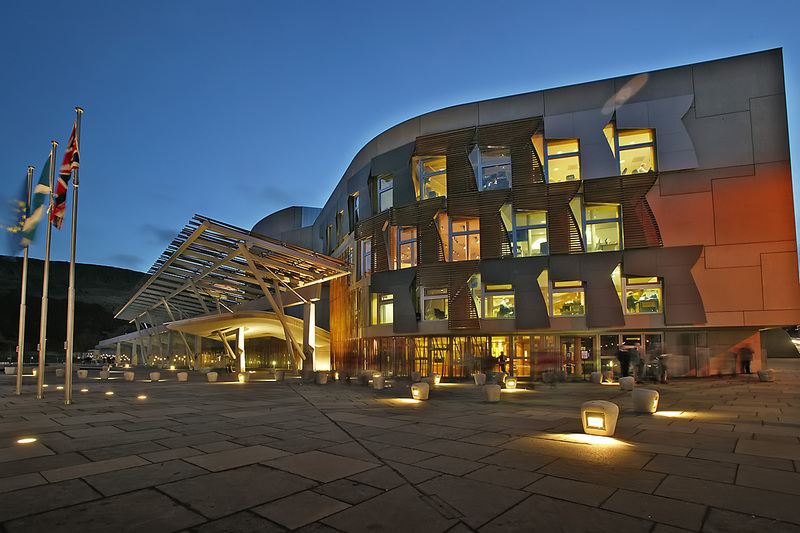 Over £90 million was spent bomb proofing the interior and exterior of the Scottish Parliament. But today it has been announced that a further £1.5 million is to be spent on a package of security improvements including new security gates and bollards will be erected at the entrance to the Holyrood building. The architectural demands and safety regulations on the building were amongst the most rigorous in the construction industry in the 1990s. Consturcted from a mixture of granite, steel and glass the project was deemed as bomb-proof. City councillors have reassured local residents that no additional clutter will be made to the Canongate streets. Posted in Uncategorized and tagged airport, attack, bomb-proof, bomb-proofing, Edinburgh City Council, Glasgow, Holyrood, International, MI5, Scottish Parliament, suicide attack, suicide bombing, The Centre for the Protection of National Infrastructure. Bookmark the permalink. House of Fraser no more……..?